If we have no common objects of love, what is the affection that can lead us toward studiousness and away from curiosity? If my confidences in everything save my own identity is diminished—and late modern liberalism seems to me to be designed to do precisely that—then my desire for knowledge can only be curiosity. This, incidentally, is what I meant in the first issue when I said that the only writers with something valuable to say in this context are the writers with a deep love and affection for a particular home place. If we don’t have something outside ourselves that our work is ordered to, then all that we have left is the self and all our work is merely a form of identity construction. And at that point, I fear that the standard for our work is no longer truthfulness or whether the work tends toward love but is, rather, whether the work satisfies us personally or advances our private interests. Yes. I’m a big fan of starting sentences with a conjunction for all the reasons Dreyer mentions in the article. I find it provides some snap to a sentence, and it can spring the reader into the next thought. Personally, I think it’s better to follow this non-rule more often than not. I take Dreyer’s point that sometimes inserting an adverb in between the “to” and the “verb” does sound better (“To bodly go where no man has gone before”). But generally it obscures meaning unnecessarily. My view? See “never split an infinitive.” Writers (especially young writers) should follow this non-rule except when it doesn’t work. In other words, evangelicals must speak of infanticide in ways that remain animated by the gospel of Jesus Christ. We are to proclaim the darkness of the evil inflicted upon infants and their mothers in ways that still hold forth the promise of good news. The truth of compassion provides comfort in the face of the cross—a comfort that defeats death not by inflicting it, but by overcoming it with love. Einstein’s God will no doubt appeal more to Pigliucci’s readers than the divine craftsman of the Stoics. Pigliucci contends, moreover, that living well in the Stoic sense doesn’t depend “on whether there is a God” or what God’s “specific attributes” are. I strongly disagree. The practical part of Stoicism—the part where it teaches us how to live—doesn’t work without the outdated metaphysical underpinning. For the Stoics, Zeus made everything, including human beings, to maximize the universe’s perfection. What sets human beings apart is that they alone share in Zeus’s rational nature and can help carry out his plan by embracing the fate he has allotted to them. We are the only part of the universe that doesn’t just blindly function, but can grasp its task and perform it willingly. The key to happiness, therefore, is human reason, which enables us to understand Zeus’s plan and then direct our lives in accordance with it. [W]hat is not generally recognized is that the successful launch of self into orbit of transcendence is necessarily attended by problems of reentry. What goes up must come down. The best film of the year ends at nine o’clock. What to do at ten? What did Faulkner do after writing the last sentence of Light in August? Get drunk for a week. What did Dostoevsky do after finishing The Idiot? Spend three days and nights at the roulette table. What does the reader do after finishing either book? How long does his exaltation last? 6. Did I mention in the previous “Whence and Whither” that Monty Python’s Flying Circus is on Netflix? Well it is. Who are the Loomers? Christopher Hitchens, Martin Amis, Ian McEwan, Salman Rushdie, Clive James, and Craig Raine. Ben Sixsmith outlines the slow decline in popularity each of these writers has experienced over the past decade, despite their prominence in the 90s and early 2000s. When I saw Craig Raine’s name on the list I had a sudden flashback: during my junior year of college, I studied abroad at Oxford University where I attended Raine’s lectures on T. S. Eliot for a few weeks during the Hilary term. I knew Raine was a well-known poet, but I had no idea he was connected with people like Christopher Hitchens. One of the two main problems with the Loomers has been their often pompous attitude towards style, where linguistic cleverness has often been elevated above linguistic power. In his essay “A Criticism of Life” Craig Raine singled out as an exemplar of good prose Marianne Moore’s comparison of the top of a fir tree with “an emerald turkey foot.” This, he said, allows us to “see the fir tree more stereoscopically than before.” It does not. In fact, it diminishes the readers’ appreciation of the tree. With all due respect to Moore, the phrase has the novelty and cleverness that Loomers admire but is symbolically inapt. An “emerald turkey foot” is a comical image that degrades the dignity of a grand old fir. In another essay, Raine chided Bruce Chatwin for inaccuracy in saying that in winter “the frozen leaves of foxgloves dropped like dead donkey’s ears” but even if this is less accurate as a comparison of likenesses, which it is not by much, it has far more symbolic power. 2018 has been a year of major transitions. The most significant was the birth of my firstborn child in October. If three months of parenting has taught me anything, it’s that the messiness and intensity of life swirls just below the surface of daily routines. I’m more aware now of how hard-won true discipline is. Whether it’s the small habits of attending morning prayer every morning, or simply obeying the admonition “Don’t shake a baby” when every fiber of your being wants to shake the inconsolable child who is squirming, crying, and screaming at 3a for the fifth night in a row. But no. You put the kibosh on all the impulses that distract and attempt to misdirect your behavior. It’s a herculean effort. First, I’m going to start by trying to keep a reading log for the year. I’ve made attempts at this in the past, but I’ve never managed to come up with a system that I could reliably update throughout the whole year. For 2019, I’m incorporating my reading list to this website. I’m not going to stash away my reading log in a random journal or in an obscure file on my computer. I’ve dedicated a whole page to the site and have created categories and codes that will make it easy to update. Second, I’m going to take another step in my attempts to remove myself from social media by financially investing in magazines, journals, and various other forms of periodicals. The internet in general has made me less and less tolerant of information that costs money. Pay walls frustrate me. Shouldn’t all internet content be free? No. Good content–whether it’s print or digital, essays or podcasts–takes hours and hours of preparation. Most of the writers I enjoy following have day jobs because writing itself usually isn’t enough to make a living, much less support a family. Supporting writers is an obligation if you want to read thoughtful arguments or careful analysis, and not just the latest, most provocative hot take. I now have subscriptions to Mars Hill Audio Journal, Christianity Today, and Comment Magazine. I’ve followed these publications for a while, but have yet to put my money where my mouth is. I plan to add to the subscription list throughout the year–First Things and Plough Books, among others, might make the list as well, but I’m also open to other suggestions. By investing money into the articles I read on a regular basis, I now have some skin in the game, which I hope will motivate me to read more carefully and more diligently. Despite the “free stuff” on the internet, I’m more and more convinced that “free” dangerously flattens the hierarchy of carefully edited publications and encourages intellectual laziness on the part of readers. Third, I’m convinced by Austin Kleon’s call to “own your own turf.” I began to revive this blog as an attempt to support my extraction from social media, and to encourage a more consistent writing habit. I’ve been more or less successful, but I’d like to kick it into a new gear for 2019. Piggy-backing on my resolve to invest in the information I read, I’m also going to invest in this site and purchase the lowest level WordPress subscription. The goal for the remainder of the year will be to practice writing short posts–three to four paragraphs–what Brad East calls “mezzo blogging.” My hope is that writing more frequently and in a more controlled, though still public, context will eventually lead to writing more long-form pieces for other venues. Because everything on the site is linked through categories and tags, it’ll function as a kind of notebook of ideas I can return to when I’m working on other projects. I might be overly concerned with my writing style, but every time I finish a piece, I’m disheartened at how “mechanical” it sounds. It’s as if I’m stacking LEGO blocks from different LEGO sets on top of one another, creating a recognizable but oddly proportioned figure. Part of the problem, I think, stems from the fact that I teach writing to junior high and high school students–i.e., I spend most of my time teaching writing formulas and structures so that students can work on plugging in the right information in the right places. The result: I sometimes impose an artificial structure onto my ideas, instead of allowing the ideas to take shape naturally on the page. Structure can’t be abandoned entirely, but I can’t be authoritarian about it either. Which I then proceeded to go off and do, for about four years. The “advice” part of that came home on the day I made the breakthrough that would lead to my first book—that is, when the magic (finally) came back. The new writing was fun and (see above) ostensibly entertaining—it came out of a place of joy and orneriness, instead of a place of stiffness or control or pedanticism. And to suddenly recall his advice at just that moment was a sort of force-accelerator, and I’ve never forgotten that, for me, “magic” has to be the operative word—getting the prose to go somewhere and do something you couldn’t have foreseen at the outset. I saw that this distinction I’d been making between “entertainment” and “literature” was not meaningful, not at the highest levels. So, this principle of proceeding not by head (ideas, concepts, plans) buy by heart (moving ahead line-by-line, trusting my ear, trying to communicate with and entertain an imaginary reader, being ok with being lost and even seeing this as an indicator that the story wants to be more than I have in mind for it) has stayed with me and has led me to think that, when self recedes, there is something else that rushes in to replace it, and that thing is smarter and kinder and just more trustworthy than self, i.e., the self we create through control and rumination. What is the true point of a bookish life? Note I write “point,” not “goal.” The bookish life can have no goal: It is all means and no end. The point, I should say, is not to become immensely knowledgeable or clever, and certainly not to become learned. Montaigne, who more than five centuries ago established the modern essay, grasped the point when he wrote, “I may be a man of fairly wide reading, but I retain nothing.” Retention of everything one reads, along with being mentally impossible, would only crowd and ultimately cramp one’s mind. “I would very much love to grasp things with a complete understanding,” Montaigne wrote, “but I cannot bring myself to pay the high cost of doing so. . . . From books all I seek is to give myself pleasure by an honorable pastime; or if I do study, I seek only that branch of learning which deals with knowing myself and which teaches me how to live and die well.” What Montaigne sought in his reading, as does anyone who has thought at all about it, is “to become more wise, not more learned or more eloquent.” As I put it elsewhere some years ago, I read for the pleasures of style and in the hope of “laughter, exaltation, insight, enhanced consciousness,” and, like Montaigne, on lucky days perhaps to pick up a touch of wisdom along the way. I’ve been thinking about how we read, why we read, and whether it can be done well. For example, check out my review of Karen Swallow Prior’s book On Reading Well over at Mere Orthodoxy. In addition to Prior’s book, I’ve also been reading two other books about reading. This is a timely word. In a numbers-obsessed culture–we count steps, calories, proteins, words, pages, sleep hours, etc.–everything has become a standard and a burden. Whimsy is a byword, and joy is suspect. Diligently reading at Whim means being selective, choosing only those books that bring the most pleasure and stir up interest. This is harder than it sounds. Especially, if like me, you constantly stand under the dark cloud of “BOOKS YOU SHOULD READ TO BE EDUCATED.” But reading strictly for numbers and standards isn’t reading. Reading, if done well, is a transformative experience (e.g., On Reading Well). It will change a habit of thought or perception. Reading at Whim facilitates reading well because it prec ipitates the enjoyment necessary for reading slowly, carefully, and lovingly. I’d like to think I’ve had such an experience recently. I was at the publicly library and (at whim!) 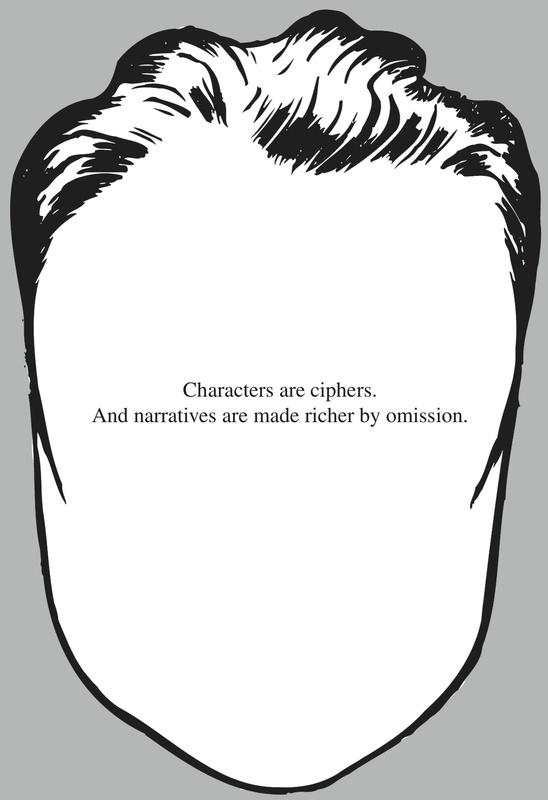 picked up Peter Mendelsund’s book What We See When We Read. This is not the kind of book I would normally think to read. But as soon as I flipped through a few of the pages, I added it to my library stack. It’s a fun but also serious analysis of how our minds project images of characters from a story based on the words we see on the page. If I’m not careful, thinking a bout how reading works while I’m reading can cause me to stall out. It’s like thinking about thinking while thinking: at some point the system crashes. 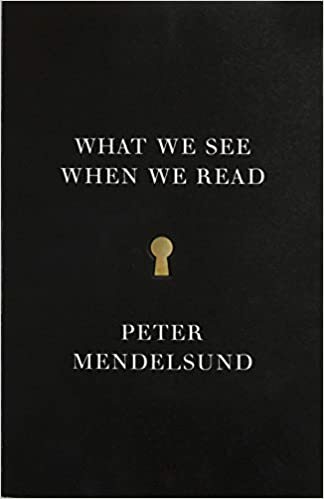 But Mendelsund’s approach, using images alongside words, avoids the usual problems of reading about reading because he forces your mind to process the same information in multiple ways. The result, so far, is an enriched reading experience. I don’t think I’ll read the same way again. To read well is not to scour books for lessons on what to think. Rather, to read well is to be formed in how to think. In An Experiment in Criticism, C. S. Lewis argues that to approach a literary work “with nothing but a desire for self-improvement” is to use it rather than to receive it. While great books do offer important truths about life and character, Lewis cautions against using books merely for lessons. Literary works are, after all, works of art to be enjoyed for their own sake rather than used merely for our personal benefit. To use art or literature rather than receive it “merely facilitates, brightens, relieves or palliates our life, and does not add to it.” Reading well adds to our life–not in the way a tool from the hardware store adds to our life, for a tool does us no good once lost or broken, but in the way a friendship adds to our life, altering us forever. I’m nodding along with almost everything KSP says. And in passages like this, I tend to verbalize my excitement while reading. On several occasions now, my wife has asked if I was okay or if I had called her from the other room. The difference between a receptive reader and the utilitarian reader, however, is easier to distinguish from a distance than it is in the moment. In some ways, I think graduate school has ruined me for reading. I’m too quick to ask about the “agenda” of a book in its historical moment, or to wonder about what it’s saying about race, gender, politics, etc. These sorts of analyses have their place, but the pendulum has swung too far in that direction. So much so, I sometimes forget that literature isn’t merely a fanciful declamation of politics, philosophy, science, or theology. It pains me to admit that I think this way. But this is the whole problem with reading literature in the first place. There is NO PRACTICAL purpose. Despite what every floundering humanities department will try to sell you, learning to read Dickens will not prepare you for the job market. People with English degrees aren’t actually in high demand. Everyone struggles to find a job after college. Period. So why do people keep getting literature degrees and why do people, more generally, continue to read literature in their spare time? The answer, I think, has something to do with virtue (a la KSP) and beauty. As KSP notes, when literature is read well, it doesn’t simply inform us. It forms us. We are changed when we read literature, in much the same way that experiencing a Van Gogh painting or Bach’s Mass in B Minor can change us. Beauty forms us because it draws us to something that is both Good and True. The key word here is “can.” Reading a book, looking at a painting, or hearing a symphony does not magically–i.e., without some personal effort–change us. We have to train ourselves to receive beauty. 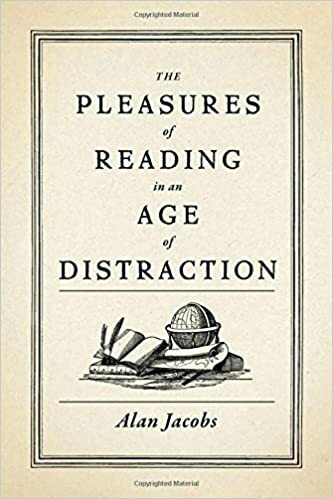 If nothing else, KSP’s book–so far–is a great reminder that our unexamined reading practices and habits will inhibit us from undergoing the kind of formation reading can enact. We can’t simply read. We must read well. What specifically are the habits and disciplines of reading should we cultivate? Can reading de-form us? Even if we’re technically reading well, is it possible that a book is bad for us? In other words, should we always be receptive readers? Does reading well entail a certain amount of prior philosophical understanding? For example, in the introduction and at the beginning of each chapter, KSP helpfully lays out classical definitions of the various virtues and then shows how they appear in a particular work. Does every reader need to have a similar philosophical and historical foundation to read well? I can already sense partial answers to many of these questions. So, needless to say, I’m looking forward to the rest of the book.